The air smells of pizza dough, tobacco, and cold brisk air. The whole city decorated with warm colors of yellow, cream, and a splash of deep orange. 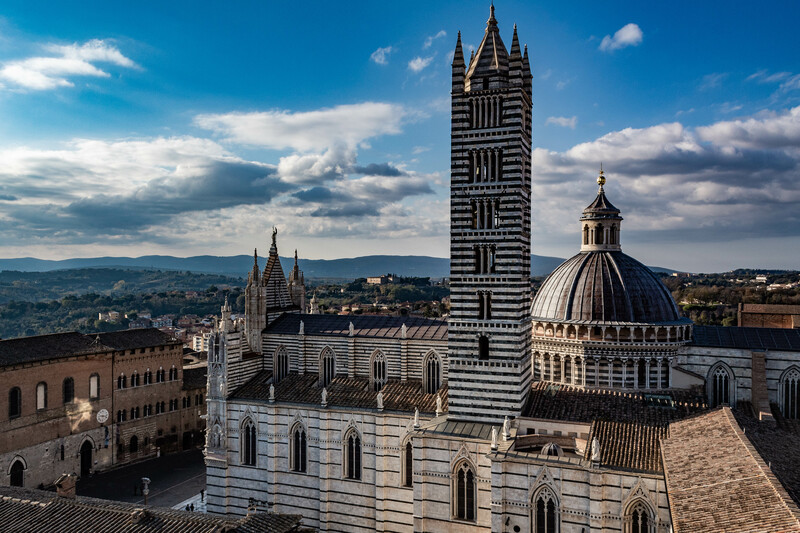 Located in the Tuscan region, Siena is a sight to behold. 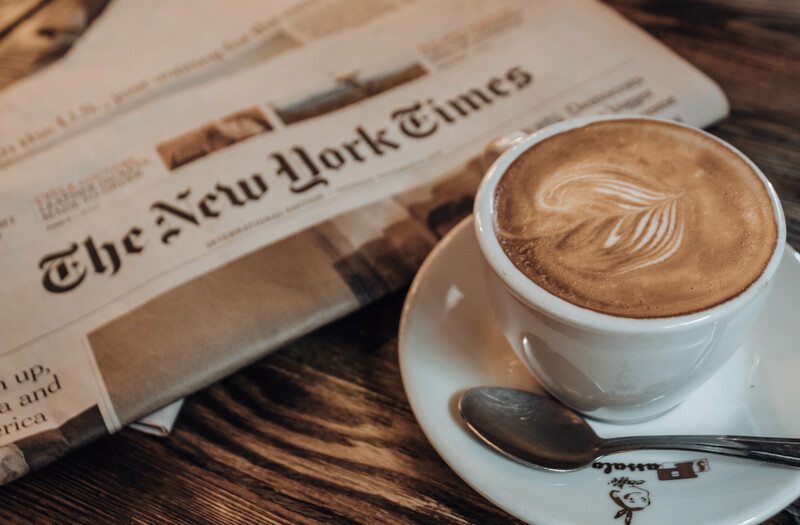 Hopping off the train, after sipping on a cappuccino and reading ‘The New York Times’, I ventured off into the heart of Siena. 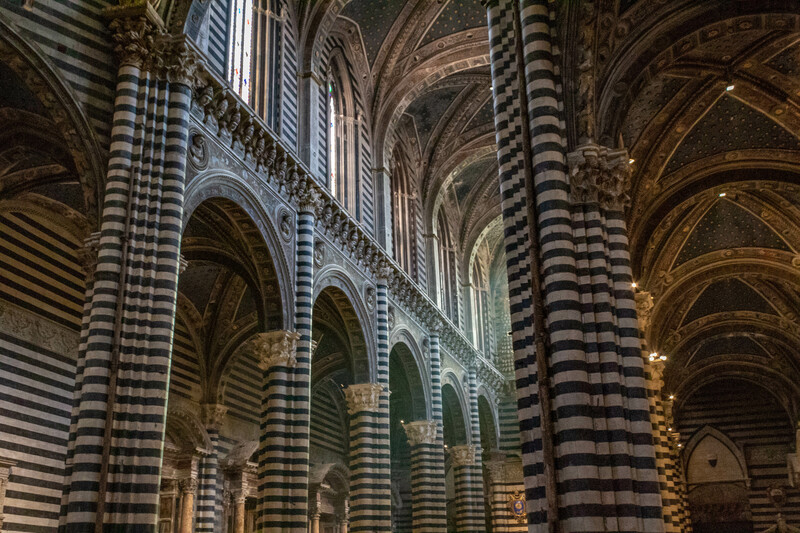 Catholicism plays a role in the culture of Siena. The size of the Duomo alone proves this to be true. The Duomo is just as extravagant inside as it is outside. 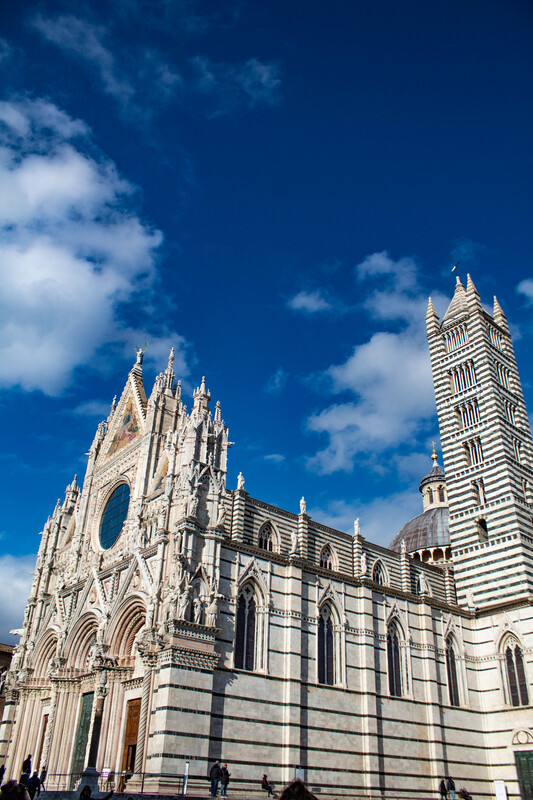 There are several places you can visit with your Duomo Ticket. Each ticket costs only eight euros. 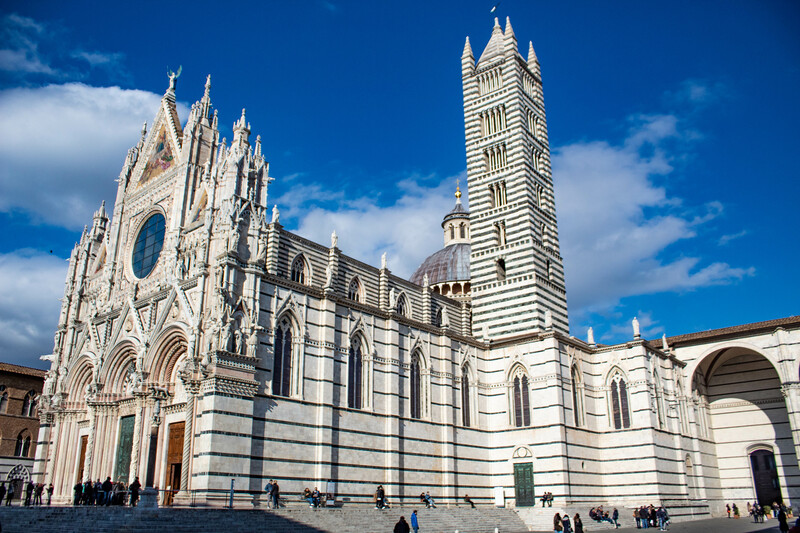 It allows you to enter the inside of the Cathedral, the Museum, The Façade, and The Baptistery. The most interesting aspect of the Duomo is the ‘Indiana Jones’ story that hides underneath its foundation. Several years ago, the church was under renovation. During the renovation process, a man was inspecting the outside construction of the Duomo. The worker taps on the side of the building in search of hollow spots in the foundation. When suddenly, the restoration worker tapped on a certain spot a part of the Duomo’s wall and it collapsed, leaving a gaping hole. The hole is discovered filled with sand. When some of the sand was removed, hidden paintings and documents are discovered. Many people have wondered what would be uncovered if all of the sand were to be removed. Rumor has it there is a treasure hidden beneath all of the layers of sand. The only problem is, the sand is a key component of the church’s foundation. If the sand were to be totally excavated, the church would collapse. Engineers are working on trying to unearth this treasure, but there has yet to be a solution. The inside of the Duomo is breathtaking. Colossal striped columns guide your eyes towards the center altar. Pipe organs decorate each sides of the church, whilst Renaissance paintings hung one by one on the walls. The elevated curved ceiling is brushed in a rich navy blue with gold flowers and designs. Mosaic tile lay on the floors, each with a unique story about Siena. 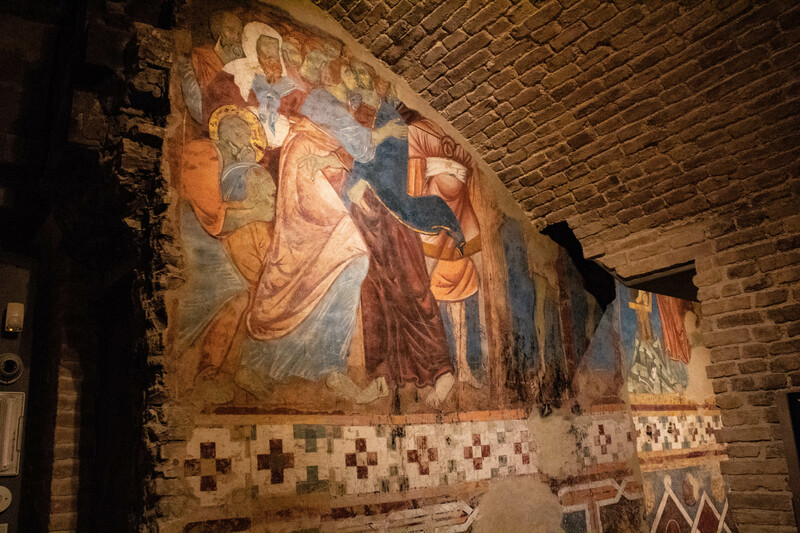 The first mosaic is designed to show the power and dominance of Siena. The whole floor that is not covered in a mosaic has red, white, and black tiles creating patterns and designs all across the space. Once you enter the Duomo’s interior, located to your left, you can get into the place where illuminated manuscripts are kept. Employees will check your ticket so be sure to have it with you. The manuscripts are delicately and colorfully painted. Most of the time, the paintings are attributed to Monks who spent their whole lives crafting and creating them. 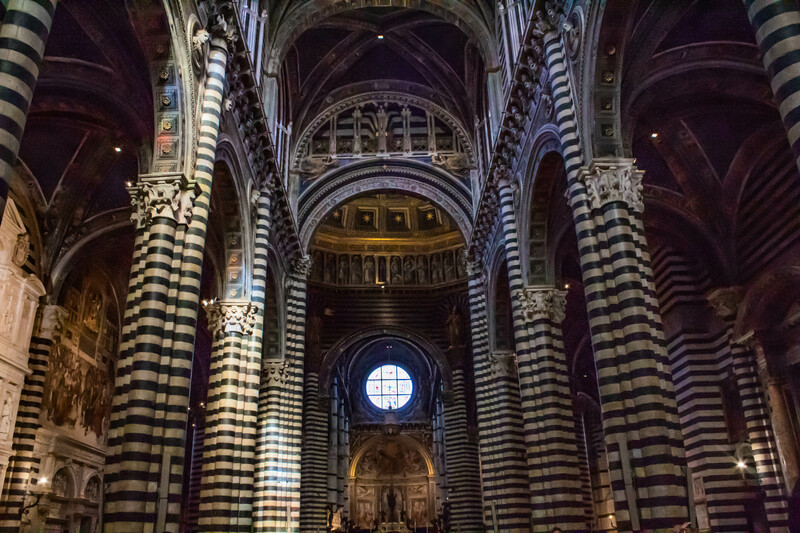 The architects of the Duomo in Siena specialized in detail orientation. There are small carving and sculptures, easily missed if you don’t look closely. I did not realize that surrounding the altar is several carvings of faces. Yet, once I noticed it I could not un-see it. So often I walk through ornately decorated places and miss something an artist probably spent years working on. The aerial views of the city make it appear miniature, giving me the feeling that I can conquer anything. 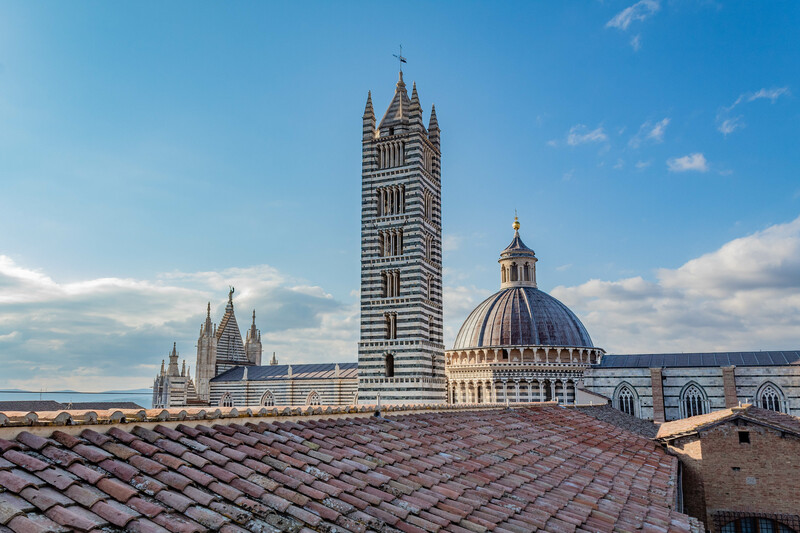 The Duomo stands tall adjacent to the panoramic views of the façade. Allowing me to see this unique perspective of the Duomo. Siena is a medieval village known for banking and horse-racing. Though banking is not a spectator sport, horse-racing is still a large event held in the Piazza del Campo. 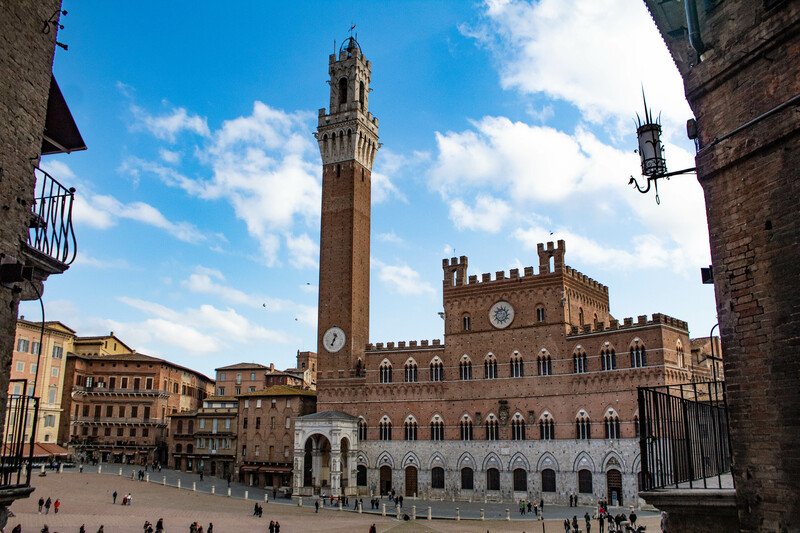 Some have criticized the horse-racing events held in Siena, calling it a brutal sport. Yet, despite the danger of injury, horse-racing is very significant to the culture of Siena. 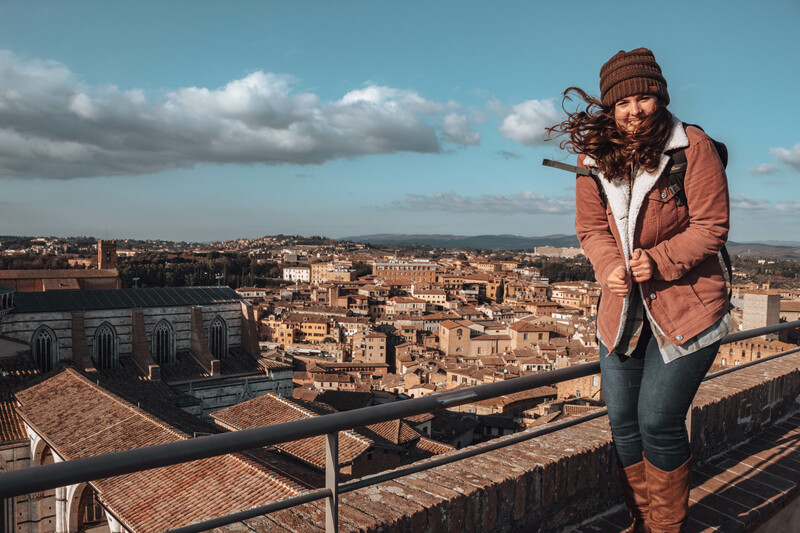 It would be a shame if the Piazza del Campo is not filled with thousands of horse-racing spectators during the hot summer months. 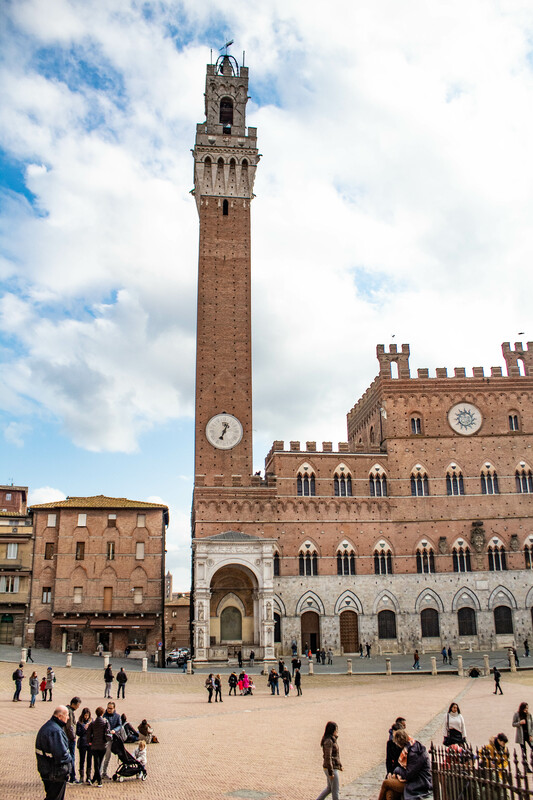 Sitting down on the slight incline of the piazza, I watched lovers sip on wine, tourists take selfies in front of the tower, and children running and playing as they always do in the wide open space. I imagine what it would be like in the months of July and August when the high of tourist and horse-racing season arrives. For now, the chill of winter has arrived and everyone is bundled up. Scarves wrapped tightly around necks, hats pulled down around ears, and jackets with every button fastened. Fall in Italy is a unique time. When the weather gets colder there is a magic in the air I cannot explain. 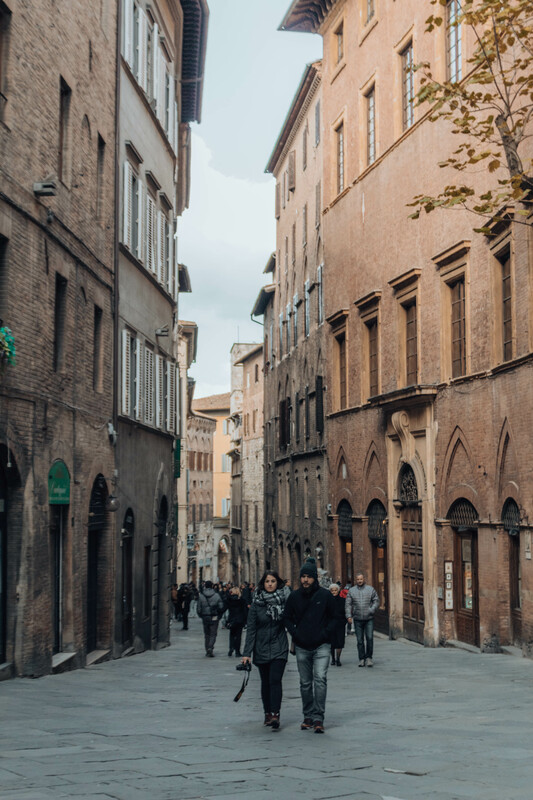 Siena is a lovely medieval town, ideal for a quick day trip. Though, I do hope one of these days I will get back there for a horse-race.